I’m exhausted but in a good way! It has been quite a week in Duranland, or at least, my little, tiny corner where I live. As I’m sure that you all are aware that tickets are now on sale for Durandemonium 2013! The website for the convention is http://durandemonium2013.webs.com/ and the direct link to buy tickets is http://durandemonium2013.eventbrite.com/#. I have to tell you that it wasn’t easy just working out all of the details for the tickets to go sale. It probably even gave me a new appreciation for organizations like Artist Arena. Gasp! That said, I couldn’t be more pleased by the reaction so far to the convention! People definitely seem excited, which just increases my excitement more! Personally, I cannot wait to see friends who I haven’t seen for months or years, in some cases! Likewise, there are many new friends that I look forward to meeting face-to-face. The more and more I think about it, the more and more it is becoming more like a family reunion! Meanwhile, I understand that there have been some happenings taking place in Duranland beyond the convention. I don’t understand it but apparently that’s true. One of the things I saw was that a certain bass player we know officially became an American citizen this week. While I believe that his wife tweeted a picture of him saying the oath of citizenship, there was also a brief clip on NBC news about it. The link to that interview is here. I was surprised that something like this would get any sort of news coverage. I’m glad it did, don’t get me wrong, but still surprised. As for the interview itself, even though it was short, there are some things to comment on. John states that he has always felt comfortable here and welcomed, which makes sense since he has lived here so long. The next part caught my attention, though. John states, “I want to vote. I want to get involved.” Now, anyone who knows me knows that I’m a political geek. I’m someone who pays a ton of attention to what is happening, politically. I always vote even in those very small primaries for super duper small races on a very local level. To me, voting is such a big deal and having that right is one of the best rights that we have here. I spend an enormous amount of time encouraging others to vote from family and friends to complete strangers. Heck, I am even a special deputy, which means that I’m able to register people to vote in my city. Too bad, I’m not able to do it in Los Angeles. 😉 Anyway, I will defend and support the right to vote for anyone and everyone. Therefore, nothing could please me more than John’s desire to vote himself. Voting matters. Then, to have the next statement out of his mouth be about getting involved. Hmm…would that involvement go beyond just voting? Time will tell I suppose, but I would love for him to get involved and do more. Again, I admire anyone who does more than just talks the talk. That doesn’t mean that I think less of people who don’t get involved beyond voting. I’m just saying that I admire those people who do. Obviously, I have. Maybe, we will never know if he does, either. It may not be something that ever gets back to the fans, which is fine, too. Duran isn’t a political band (for the most part) and I wouldn’t want that to become the focus. John goes on to talk about how he will have the best of both worlds as he will have dual citizenship. I, for one, am glad that he didn’t have pick one over the other. While I’m an American, I will always think of Duran as a British band. Honestly, maybe, that is part of the reason I never was able to full embrace Warren. I liked that they weren’t from here. To me, as a kid, this made them exotic. Special. Different. I didn’t want my favorite band to talk about things like baseball games and Independence Day. I wanted a different world with different perspectives. To me, this dual citizenship is ideal. He could have a voice for what happens here, which matters since he lives here, pays taxes here, etc. but isn’t rejecting where he came from. I have to wonder what the British fans think, though. Do they view it the same way? On that note, I better check on the rest of Duranland and see what needs to be done next for the convention! Psst…members of Duran Duran…I have something I think you should know, in case, you know…you ever decide to do meet and greets again. I have never been at a formal meet and greet for Duran Duran. I know what you are probably thinking…”Thank goodness! That one is a bit much! My goodness, she is half of the Daily Duranie! They blog EVERYDAY! Every. Single. Day. Sometimes, they have even blogged more than once a day!!!! On top of that, they talk about what happened in Duran history and ask questions of other fans. Worse yet…they have set up meetups with other fans and the rumor is that they are even planning a convention! EEK! Activities like that cause fans to come together and we can’t have that! She is one of THOSE fans.” Yeah, I’m sure you are thinking something like that. I might be, if I was in your shoes, but I’m here, speaking quietly and gently, to let you know that I’m safe. I can be trusted in the same room as you. What proof do I have that I’m safe? Well, I know that the opinionated blogging might make me seem scary but I’m really not. I have proof. You see I have had thorough background checks done with the most recent one for events that happened this past week. Who did the background checks, you ask? Well, these background checks were done by those security people surrounding the President of the United States. No, I’m not kidding. You see, I just got back home from the 57th Presidential Inauguration. Pretty cool, huh? You know what is cooler? I got a tour of the White House AND I got to shake the President’s and First Lady’s hands!?! I even got to see the First Dog, Bo, up close! No, again, I’m not joking! It really happened. In fact, this moment was captured on a photo that was the White House’s Official Photo of the Day on Tuesday, January 22nd. Go ahead. Go check. You know that you want to. Here’s the link: Official Photo. Make sure you go to January 22nd or you won’t see it. 😉 Of course, if you look carefully at it, you will notice that we are shaking hands. I even touched him! Yet, I kept a respectful distance. Even more importantly, we are both laughing. Thus, it seemed that the President didn’t mind our interaction. So, seriously, those secret service people allowed me to get close to the President twice (I met him in October)! They wouldn’t do that, if they didn’t think I was safe, right? Right. Of course not. My point here is simple. If you were to do meet and greets during…say…the next tour and I were to go for one, it is okay to choose me. It really is. I’m not a security risk. Obviously. I’m sure you might be thinking about that partner of mine. What about Rhonda? How can we trust her? Has she been checked over by the President’s security team? Well, I’ll be honest here. I don’t know that she has. That said, I think you can trust her, too. After all, if I’m okay to be near the President, would I choose to be around someone…uh…unsafe? While, we all know that Rhonda might have strong opinions and she might even voice them a time or two, let me tell you. She’s way more bark than bite. Really. I promise. On that note, I do hope that this evidence of mine counteracts any concern you might have about my fan status. While I realize that I might appear a bit…serious about my fandom, I promise you that I know how to be respectful and calm during official meet and greets. In fact, I can even bring joy and laughter to meet and greets. I can. Really. I promise. In all seriousness, I was in Washington DC this past week for Inauguration events due to my efforts as a campaign organizer. One of those events included a White House tour. While the President and First Lady were not scheduled to be there, they surprised us! Almost immediately after the meet and greet, I thought about how I have been lucky (VERY) to meet the President twice, but haven’t had an official meet and greet with the band! How crazy is that?! Yesterday, I met the President of the United States. I not only met him but I hugged him…actually, he hugged me and I returned the hug. Now, before non-Obama supporters or before people who aren’t into American politics stop reading, I ask that you stay with me. This post won’t be focused on President Obama or his opponent or the presidential race. It is more about having that real moment with an idol and how that moment can be made SO special. I received word Wednesday evening that I would be one of about 15 Obama volunteer team leaders and organizers who would be meeting the President on Thursday when he came to my city of Madison for a campaign rally. I was glad that I had some time to think about what to wear but not too much time that I would obsess over it. You see I have been organizing politically since the summer of 2008 for then Senator Obama and haven’t stopped since. This is a complete volunteer position that has taken up 10-30 hours per week of my time. Thus, when I got word that I would get a chance to meet him, I felt appreciated. I felt my work was validated. The campaign clearly felt like my contribution MATTERED. Of course, even as I type this, I can’t help but to think about how this isn’t that much different than what we all feel about Duran Duran. While we might not be organizing or working for them, we have been fans for a long time. For many of us, we have been fans for decades. Duranies, too, like to know that they are appreciated and that their loyalty matters. I was told by the campaign to arrive at a certain spot at the rally at 1 pm. Once the entire group of team leaders assembled, we were escorted into a closed building where the President would come. At this time, I was already feeling pretty special. Why? It was the little things that really made me feel like I was going VIP. First of all, the line to get into the rally was HUGE (there were 30,000 people there). I did not have to stand in line. Second, while we had to go through security like everyone else, we were allowed to go in before everyone else. Tell me that this doesn’t sound like early entry?! Then, when we were shown into this lovely room to wait with comfortable chairs and a beautiful view, I immediately saw that we were in the same room as the rest of the rally speakers. This included the woman running for US Senate, the man running to take her spot in the US House of Representative and more. I was in awe. Again, I continued to feel special. After awhile, we were given instructions that included the order in which we were going to greet the President and that we could not bring any personal items with us. With that, we were escorted into a room that had been divided in half by large blue curtains, which would also act as the backdrop for the official photos. Then, we waited. As we waited, one of our current US Senators joined us and introduced himself. Wow. Soon enough, we heard a flurry of activity in the hallway and knew that he had arrived. When he stepped into the room and greeted us generally, we clapped and cheered. Then, there was more waiting until, finally, it was our turn. I was nervous and had no idea how to properly greet him since I wanted to be respectful. Since I was toward the end of the line, I saw that he was greeting people with hugs! He initiated them! Thus, I thought it was only right that I return the hug! Then, we got into position for the group picture. I managed to be right in front of him because he is tall and I’m short. This position was perfect for him to put his hand on my shoulder! Before we left the room, he thank us a few times and pointed out that we are the “core of the campaign”. I blurted something about how I was tired. (Wow! What a genius move that was! I’m tired?! Like he isn’t WAY more tired?!). He nodded and stated that we could do it for 33 more days. I nodded back and said that I would keep working. I will do work and get it done. He said something about how he needed us. There are no words to state what I felt like at that moment. I felt unbelievably giddy. I felt proud. I mattered. I am needed. This once in a lifetime moment will stay with me forever. I got my moment. I got my moment with someone I look up to. When I looked at the faces of my fellow leaders, they all had the same expression on their faces. They, too, felt this way. It was like we had all become fans. While still shaking with excitement, we were led out the same doors that President Obama would walk to get to the stage. In our case, we walked to the VIP section, which was in front, on the side. Within a few minutes, President Obama came out and spoke. During that time, I stood next to the woman running for Senate. I was able to speak to her and get a picture. I looked back at the rest of the people and realized that unlike them, I didn’t have to get there early. I didn’t have to stand all day. This truly was real VIP treatment. I never felt so special. As soon as I came back down to planet earth (pun intended), I began to think about my typical focus of fandom, Duran Duran, or fan meet and greets, in general. Here’s what I know. Fans, like me, all want to feel special, to feel like we matter. We want to feel like serious VIPs. After all, we have been fans for a long time and give much support with everything from our money for albums, concert tickets, merchandise and more to emotional support as we are constantly sending messages or comments in one way shape or form telling the band or band members about how much the band matters to us. We want to get at least that 1/100th of the love back that we feel like we send to them. I had that with the President yesterday. I feel both lucky and appreciated. It was a real gift. So, why did it go so well, from my point of view? First, my expectations were realistic. In fact, I expected that it would be an assembly line of photographs with our very large group being pushed through quickly. I didn’t expect words to be exchanged. I certainly didn’t expect to touch him and I would have never even dreamed that I might be able to get a hug! (What would I have to do to get a hug from say…a certain bass player?!) Second, the meet and greet was set up well. There was space and time so that no side felt pressured or cornered. We weren’t made to feel like we were part of an assembly line and the President had a lot of space and didn’t have to deal with everyone at once. Each person was directed when to approach. This provided comfort to me as someone who isn’t good at just going up to people and introducing myself and I’m willing to bet that it helped the President not feel overwhelmed. Yes, I know that the man probably is used to large crowds and a lot of people begging for his attention at the same time. Likewise, I’m sure that Duran is, too. Even if they are used to it, should they have to deal with it? Why can’t they be allowed time and space that we all get? Plus, I wonder if that rush affects not only their immediate meetings with fans but future meetings with fans. Third, as part of the set up, instructions were given. We all knew what we could do and what we couldn’t. We knew not to ask for other pictures. Thus, the President wasn’t put in a position to have to answer that question. Lastly, I think that the rest of the crowd helped. We were all very aware that we needed to be respectful. No one approached President Obama for a hug before HE initiated it. I like this. This way, I knew that President Obama was truly okay with hugs once he started giving them himself. What is my point here? It is simple really. We, fans, all wants our moment with our idols. We all do. I think this is normal. After all, we are only human and we give a lot of ourselves by being fans. We may not give work like I do with President Obama but we do give of ourselves when we become fans. We give a piece of our heart. We give our emotions. Thus, we want a little bit of the love back at us. We want our moment. This meet and greet was done correctly. It was done in such a way that I felt special and loved the whole time from minute one to the very end. On top of that, it was done in such a way that everyone involved from regular people to the leader of our country felt comfortable as rules were clear or everyone followed the same principles of being respectful. If I ever get the chance of having a meet and greet with Duran, I would hope to have something similar. Until then, I gotta wonder why it was easier for me to meet the President than it is to really meet John Taylor (yes, I “met” him at a cd signing but that isn’t the same! )…Someday, I hope I could frame both the picture with President Obama and a picture with John. *sigh* If only! Edited to add the picture! I cropped the rest of the people out. I didn’t do it because I’m self-centered. I just didn’t think they would want to be on this blog about Duran Duran fans! One thing I have always admired about Duran Duran is their determination. They have always demonstrated a focus on being successful no matter what they are focused on, whether it is an overall career goal or a specific project. One of my favorite stories of all time in Duran Duran history is the game plan that they had back when they started. This game plan included the venues they hoped to play and when. I believe it was Hammersmith in ’82, Wembly in ’83 and Madison Square Garden in ’84. I believe that they met this goal. Now, of course, they didn’t stop there. They seem to be willing to put in the hours to make a quality product. Sometimes, this time and effort frustrates us fans as we can and often do wait for years for an album to come out! Somehow, this length of time is acceptable to me when the album comes out and is fabulous. It is not as tolerable when the album isn’t what I hoped to be. Nonetheless, the point here is that I admire their ability to be focused and determined. One thing is certain. Duran Duran wouldn’t have gotten where they are today if they weren’t determined. I keep thinking about how Simon joined the band in the spring of 1980 and their first album was released in 1981! Think about how much work they had to do in such a short window of time! They also had to do this with minimal money. Yes, they were lucky in finding their managers at the time, the Berrow brothers. Yes, they were fortunate to have been signed to a major record label. Nonetheless, they still didn’t have a ton of time or money to make what is for many of us a fantastic album! Clearly, this task required determination and intensity! It also needed teamwork. They all had to be focused on the goal. I’m sure that they didn’t always agree but they stayed on course. To me, this is impressive, particularly when noting their young age, at the time. Strangely enough, Duran’s early days have been particularly motivating to me right now. Today marks the last day before the Get Out the Vote effort here in Wisconsin. For those of you who are not involved in campaign politics, Get Out the Vote (GOTV) is the last 4 days of any campaign. These days are filled with tons of volunteers reaching out to the voters through phone calls and going door-to-door. As a team leader, I have been involved with organizing and getting ready for these essential days on the campaign trail. I will also be leading the effort at a temporary field office. If you are still reading, you are probably wondering what the heck the point of me telling you this or how it relates to Duran Duran. It has to do with little time and money combined with sheer determination. On my side of the election, we have only had a candidate for governor since May 8th. This is an extremely short amount of time with which to make the case that this person would be the better choice. On top of it, GOTV is a relatively short amount of time to get voters out to the polls. Like the short amount of time and like Duran, our side has very little money with which to accomplish this task. Many people already have donated resources like clipboards and many have made treats for us to have during the effort. All of these people are coming together to work together to accomplish something. Like the band, we definitely don’t agree on everything but we do agree on the goal. Lastly, the intensity level for an activity like this is VERY high. I feel like I have been living and breathing campaign. I bet the band felt the exact same way about that first album. The campaign I’m involved with has many parallels to the early days of Duran. Both have a short time to get the job done. Both have few resources and both are intensely focused on the goal. I hope that on Tuesday, I will feel like this determination results in victory. I want to feel a little like what Duran probably felt like when they got that first album out or when they made those venue goals. I want Tuesday night to be like Duran Duran’s first night at Madison Square Garden as both are moments of triumph despite the odds against success. People amaze me. Roger Taylor’s status on facebook last night said something about how they were in DC and now sharing the air with Obama, as in President Obama. As you can imagine, the responses came fast and furious. As I type this now, this particular status had 120 responses. Some of those responses were probably pretty typical responses that included statements like, “Have a great time!”, “Enjoy”, “Miss you already!,” and more. I suspect he gets those types of responses all the time. The other responses, however, were, generally, either ones filled with praise at this statement or contempt at the statement. The last type of responses were people responding to the passionate responders. It seems to me that anytime a member of the band voices any sort of opinion about religion or politics, people feel it necessary to tell them they are right or wrong. I saw it happen earlier this year or last when John made statements about increasing gun control in the States and I certainly saw it happen when Simon declared himself an atheist. Is this the same type of situation? I’m not sure. Is my opinion about people’s responses the same as before when I blogged about John’s situation? Yes and no. First, I am not even sure that Roger’s statement was political. He stated a fact. He is in DC where the President of the United States is and that president happens to be Obama. Yes, he acknowledged him. Is that wrong to people who are politically conservative? Apparently for some, it is. To me, though, he could have made a much stronger political statement, if that’s what his goal was. Let’s assume as most people on that facebook thread seems to think that this was Roger supporting Obama. Why didn’t he say something like, “It is so exciting to be breathing the same air as the wonderful President Obama”? He didn’t. To me, it seemed like Roger wasn’t really inviting a political discussion with that statement since he could have made it much, much stronger. No matter his intention, obviously, most people assumed that he holds Obama in high regard. Again, though, this could be just out of respect for the office. I don’t know. Anyway, for the sake of argument, let’s assume he supports Obama. Did his fans respond appropriately? A number of people who responded to Roger’s status seemed to appreciate that he indicated support for President Obama. People said things like “Yay”, “No wonder you are my favorite”, “This make me love you more”, “I always knew you were smart”, and more. Does it matter what your idols think, politically? It obviously does to many people. I get this to some extent and then I don’t, on the other hand. Now, readers, if you have been paying attention to my posts, I’m sure you know where I stand, politically. Politics matters a great deal to me. That said, I have many people who I care about who think differently than me, politically. I do have some fundamental values that I couldn’t accept in others, however. For example, I doubt I could really be friends with someone who is homophobic and against gay marriage, but I could accept if someone has a different opinion on what should be done with health care or the economy. I guess I feel the same way when it comes to my idols. I wouldn’t be able to accept them if the members of Duran indicated that they were racist or beat their wives. Those would be a deal breakers but I could deal with the rest. That said, I always remind myself that I became a fan of Duran Duran because of their MUSIC and not because of their political views. Yet, many people on this facebook thread seem to feel differently than I do. A number of posters on Roger’s thread said that they were going to stop liking him now that he seemed to support Obama. Really? It matters to you THAT much? Other people who disagreed wanted to believe that Roger was joking or kidding in some way. Still others gave him sympathy for his opinion or told him to stop drinking the “kool-aid”. One person said that she was going to wear a Republican t-shirt to her upcoming show. Another person said that Roger shouldn’t be holding Obama higher than the working people who come to his shows. My reaction to their reactions was that of shock! Okay. People disagree with Roger and Obama. That’s fair. Why did these people respond, in my opinion, so disrespectfully? Couldn’t they recognize that Roger has the right to an opinion (again, I want to put out that we don’t even really know his opinion)? Couldn’t they respect his opinion instead of putting his ideas down by indicating that they were a joke? As for the commenter who said that Roger was holding the President in a higher regard than the people who go to their shows, I really don’t understand that one. Where did Roger say that? I’m completely confused. Now, there were many people who disagreed who were still respectful. Those people made comments like, “I can’t say that I share your opinion but I hope you have a great show!” or “I disagree but I still like your music.” To me, that is the right way to respond, if people feel it necessary to say something. You can disagree without being disagreeable, I think. This just shows me how divisive politics can be. Maybe it would be better for Roger and company to leave politics out completely. It might be easier and less problematic for people. That said, I also feel strongly that they do have the right to their opinions and should be able to voice them, if they so choose. One person said it well when she thanked Roger and the rest of the band for bringing people together, no matter the race, creed, nationality, religion or political beliefs. I wish that everyone on that thread could acknowledge that Duran’s music can and does bring people together as we all share the belief that Duran writes and plays great music! For me, right now, that’s more than their political beliefs! Shock waves were felt throughout the Duran community yesterday when Roger’s confirmed his wife’s pregnancy. Now, before Roger blogged, fans were already assuming this after seeing a picture, which showed his wife sporting a little extra around the middle. Interestingly enough, his blog wasn’t really about his upcoming new edition to the family, but about Duran’s participation in an event for the organization, Walking for the Wounded, which according to their website is about getting wounded soldiers to the North Pole to show how amazing they are. Since Roger’s blog, the Daily Duranie has received messages from other fans about the pregnancy. I have also seen threads on message boards about it. It seems to me that most people were wondering if it is true, offering congratulations, or giving opinions about whether or not it is a good thing. As soon as I saw people reacting to the news, I had two reactions. First, are we still 12? Second, is this really an important issue to be discussing? Does anyone else remember those days back in the 1980s when the guys got married for the first time and they began to have children? I remember fans being so upset when Nick got married, for example. I also recall how everyone thought that Andy’s oldest was an adorable baby. Back in the day when we were kids, these events seemed HUGE! We used to sit around and discuss every aspect we could about their family lives. Was Giovanna good enough for Roger? Who is this Yasmin person? Will John ever marry Renee? I do remember being glad that John was my favorite because he seemed so determined to NOT get married. I was also so relieved to hear or read when he madee statements about not getting married because I just knew that I would be devastated if he ever got married, or so I thought. The truth is that he did get married and I survived. All of the Roger girls survived, too. So did the Nick, Simon and Andy girls. We lived. When we were kids, we might have grieved a little over what we thought was the end of our chance to grow up and be what? Their girlfriends? Their wives? Writing that now seems silly. So, what is the big deal now? While it seems to me that most of us responded to the news very differently than we did when we were kids, there were some people who reacted with some emotion. Is it because we become kids again when we think about this band? Is it because we think of the band members in a certain way and can’t deal with any changes with them? Why? Even when there wasn’t much emotion given in the post, I was still struck by the fact that this was the discussion topic of the moment. Roger included this announcement about becoming a father again in one sentence of a blog. The rest of this particular blog talked about how powerful it was when he met people in the organization, Walking for the Wounded, who had risked their lives fighting for a cause. Yet, I didn’t see or hear much discussion about this organization or about soldiers in the fan community. Obviously, the current state of the world is one of much strife. Yet, for the most part, we don’t allow those world problems to enter our state of fandom. In this case, we don’t even bring them in when the band talks about them. Why is that? Is it easier to talk about a band member’s personal life than it is to talk about the destruction that war causes? I’m sure that’s true. For many of us, fandom and Duran Duran, in particular, give us the escape from reality, from problems. It certainly does for me and I’m forever grateful for that because otherwise I think I would be a basket case (no comments are needed! LOL). Yet, I wonder why Roger felt it necessary to blog about this particular event and organization. Of course, he could have just wanted to write about something that moved him, emotionally. That’s possible. It also seems like maybe he wanted to raise awareness to an issue. Perhaps, he wanted us fans to know about this and support this. What do we do? We talk about his wife’s pregnancy instead. Is that the easier thing to do? Yes. Absolutely. The best thing we could have done? Maybe not. I have been pretty quiet on the fandom front for a couple of weeks. Yes, I completed my blog posts last weekend but have not done much beyond that. I have debated how much I have wanted to share about why that is. Yet, I have decided that I should share what has been going on with me because I realized that it absolutely connects with fandom. You might want to get a glass of wine or a cup of coffee, depending on what time you are reading this as it make take awhile for me to make the connection. I am a teacher in the state of Wisconsin. As many of you are probably aware, a bill was introduced a couple of weeks ago that has gotten a lot of people upset. This bill has been presented by the current governor as a means of fixing the state’s budget. This bill is a lengthy one that contains a lot of very controversial ideas. Some of those ideas directly impact me and my job. First, this would require me to pay a significant more money for some of my benefits. Second, it would take away collective bargaining rights for public employees, including teachers. This would, in essence, break the unions here in the state. For those people who don’t know much about unions and collective bargaining (and I admit that I didn’t until it came into my life), unions work to get workers the best working conditions possible from their employer. This is similar to a business’s purpose of making as much money as possible. The employer and union sit down and discuss what the contract will contain. The contract could include everything from wages and benefits to things that are not related to finances. For teachers, this may include transfer procedures from one school to another or might include what time we need to report to school. In this way, the two groups discuss and reach a compromise. This bill is upsetting to many people because we feel like we should have the right to group together in a union and to be able to negotiate for our working conditions. (Now, before I go further, this blog post isn’t one where I want people to discuss politics. You are welcome to disagree with me but the purpose of this entry isn’t to have political debate. I’m just trying to give background to the rest of the post.) Personally, for me, if this bill passes, I won’t be able to continue to teach here. I won’t be able to afford it and won’t feel like I have a voice. I will absolutely feel like my rights have been taken away. It is destroying me as I keep hearing really negative statements about teachers and other public employees. Honestly, I believe that teaching is an important job for the good of the public and deserves both respect and fair compensation. In many cases, when people are upset with their government or with a law, they find a way to protest their displeasure. The workers, union members and supports have done just that in Wisconsin. For last 12 days, thousands of people have made their way to the state capital to protest this bill. I have joined in to have my voice heard for the past 11 days. When I haven’t actually been there, I’m communicating with others fighting the same cause or doing something to help with the cause. My focus has been on this political battle (one in which I didn’t invite, by the way. Yet, the fight came to me). I haven’t had much choice as I feel like I’m fighting for my students, my colleagues, my state and myself. Thus, I haven’t had much time or energy to focus on Duran Duran or on fandom. I desperately miss that normalcy. Yet, I had the strangest realization the other night. This protest, this movement for worker rights is just like fandom. In fact, in many ways, it captures some of the best elements of fandom. Now, I’m sure you think that sleep deprivation and stress has caused me to lose my mind but keep reading. How many of you have participated in a protest or demonstration? How many have been involved in some sort of group or organization that is pushing for some change, in a public, political way? Well, I’m going to do my best here to describe what it is like. Before I do, I feel it necessary to say that this protest/movement has been like NOTHING I have ever seen or been a part of. I have participated in other demonstrations before but they cannot begin to compare to what is going on in Wisconsin’s capital. The heart of the protest has been taking place in and around the Capitol. There have been many rallies outside of the building which houses the state government. These rallies are like other rallies in that they have speakers and an audience who cheers when the speaker says something interesting or exciting. In many cases, individuals and groups have marched around the downtown area to get to the rally. This idea is to voice one’s opinion through signs and slogans as well as through chants and songs. While those outside rallies have been powerful and interesting, they do not have the same flavor as what is taking place inside. When I’m inside the Capitol, I feel like I have been placed back in history. Confession time: I have a history degree and focused on social movements of the 1960s/1970s. What is happening here reminds me of things I had only read in history books. Inside the Capitol, a community has been born as rules and expectations have been established (Note: Protesters are present at ALL times inside the Capitol). Some of the rules include being polite, being respectful of each other, always being peaceful, cleaning up after yourself, and more. Strangely enough or not, I have only witnessed such things since I have been going. Besides these rules, there are common activities. During the day, the protesters are speaking about what they think and why. There are also many chants and songs that are said over and over again to express our collective opinions. These songs and chants include music that is made with make shift instruments. For example, there are many people hitting buckets as if they were drums. Some of these chants are in the form of question and answer. For example, a group of people might say something, “Tell me what democracy looks like.” The rest would answer with, “This is what democracy looks like.” Other chants are more constant, like “Kill the Bill” or “Recall Walker”. Beyond the chants and songs, people are carrying signs or making posters. In fact, the walls of the Capitol are covered in them. These posters also work to express people’s opinions. Of course, people are also walking around and talking to each other. Strangely or not, I have seen a number of people whom I haven’t seen in a long time. It has become the meeting center for many, many people. The music, the chants, the posters, and the people create a sensory overload inside. A couple of nights ago, I found myself outside of the governor’s office with a few of my colleagues, chanting a “tell the truth” chant during one of his many press conferences and I realized that social movements are very much like fandom. In many ways, it shows some of the best elements of fandom. (If I was teaching this entry as a lesson, I would ask the class if they can guess what makes social movements like fandom. Any ideas? 🙂 ) First, fandom doesn’t exist without people. Fandom begins when one fan meets (literally or figuratively) another fan. Then, those two fans find more people like them and it continues to grow. This is the same for social movements. They begin with individuals coming together as well. Like fandom, the numbers involved can ebb and flow. In Wisconsin, it started with about 10,000 people and, tomorrow, there is a crowd of 100,000 expected. In Duranland, there were millions of fans in the 1980s and thousands now. Fandom brings people together over some common interest as do social movements. For our fandom, people often come together to go to a concert. For this social movement, people come to the Capitol. If you go often enough, chances are you will meet people and/or see people you know. The same thing happens at Duran shows. Second, In both cases, these groups form communities with common expectations and written as well as unwritten rules. In the movement for workers rights, some of the rules that I listed above are literally written on signs and some aren’t. In fandom, rules are rarely written, but some are. Take a look at message boards. Most message boards have a post or a thread describing rules. Of course, many unwritten rules exist as well. Typically, those rules are discovered solely when someone does not follow those unwritten rules. Then, of course, there are common activities. For Duranies, concerts are times when fans get to sing along with their favorite band. They are also a time to buy a t-shirt or two to show others your support. It is common place to find people holding up signs at shows. These signs are message for the band. The same things are found at this social movement. We go to the Capitol now knowing that we will say the same chants that we did the day before and the day before that. Many people are making and wearing t-shirts in support of workers’ rights. Lastly, there are tons of signs that citizens have made. In this case, the messages are not for a band but they are for legislators and the governor. They might also be directed at the media in hopes for truthful coverage. Yet, beyond the rules, the slogans and songs are the people. While the cause of group formation between the two might be completely different, the results are the same. 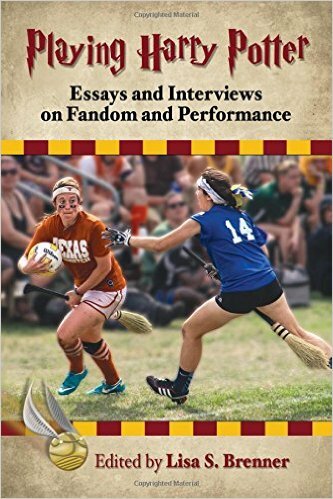 Participating in fandom and participating in a social movement provides a sense of belonging. When I’m at a Duran show, I feel like I’m with my people. I’m with people who understand me and who share something at the core of who I am. The same has been true for me at the Capitol. While I don’t like fighting to keep my rights, I have loved being a part of something monumental Something important. Something bigger than me. I have loved standing with my colleagues, with my fellow workers, with my state. I feel as if I belong there.